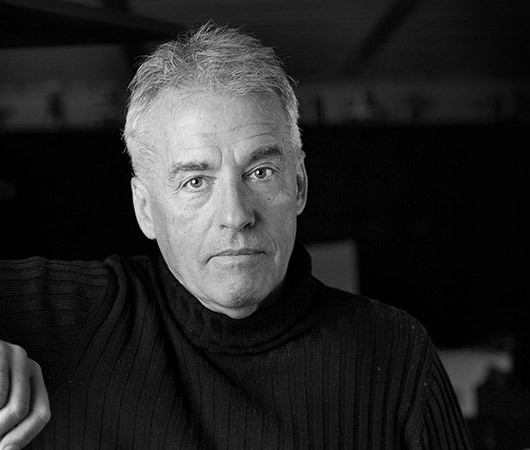 Marc Sadler graduated from the Ecole Nationale Supérieure des Arts Décoratifs (Paris) in 1968, at the end of the first "industrial design" course. Devoted from the start to the experimentation with plastic materials (subject of his degree thesis and of his personal curiosity) since the '70ies he brought to perfection the very first ski-boot in thermoplastic material, subsequently industrialized by the Italian firm Caber. Today he constantly cooperates with very important firms in the fields of home furnishing, big and small household appliances, lighting, and of more technically advanced products as well, in addition to his collaborations in the field of sport. Some of the awards he received through the years: "Design Plus" (Frankfurt) – 1995; "Compasso d'Oro" ADI (Milano) – 1995; "Auszeichnung für Gutes Design" (Hannover) – 1996; "Créateur de l'Année" (Paris) – 1997; "Compasso d'Oro" ADI (Milano) – 2001; "Design Plus" (Frankfurt) – 2001; "Auszeichnung für Gutes Design" (Hannover) – 2007; "Compasso d'Oro" ADI (Milano) – 2008. "Segnalazione Compasso d'Oro " ADI (Milano) – 2008. His Motorcyclist's Back Protector (designed for Dainese) is housed in the permanent collection of design at MOMA in New York and the lamp Mite (Foscarini) is part of the design collection of the Beaubourg in Paris. Massimiliano Cicconi was born in Civita Castellana in 1961, he attended the "State school of Ceramic Art" in Civita Castellana where he developed his interest in design and in ceramic traditions. In Civita Castellana he started to face the problems arising in the important industrial area in this town. He specialized in stage design at the "Academy of fine arts" in Rome and he started to teach art. Then he worked as an advisor with some designers Rome and Civita Castellana. In 1997, he began to cooperate with the companies of the Colamedici group: Colavene, Colacril, Colbam. In 2000, he designed the "Qube" collection for AXA and he took up a career as a designer in this company with the project "Shaping Ceramic" which included numerous, diverse washbasins which can be matched to the "Qube" and with the "Rond" collections which are characterized by flexibility. Since 2003, he has cooperated with WHITE STONE, the new company belonging to the Colamedici Group. His washbasin designs have had remarkable success. 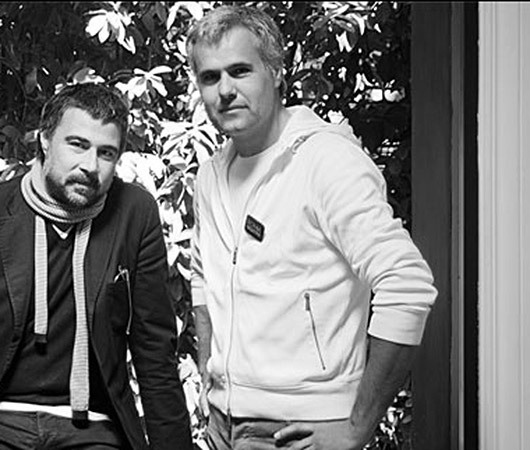 In 2006, he designed the "K-one" collection, a new sanitary ware line by Azzurra Ceramica. 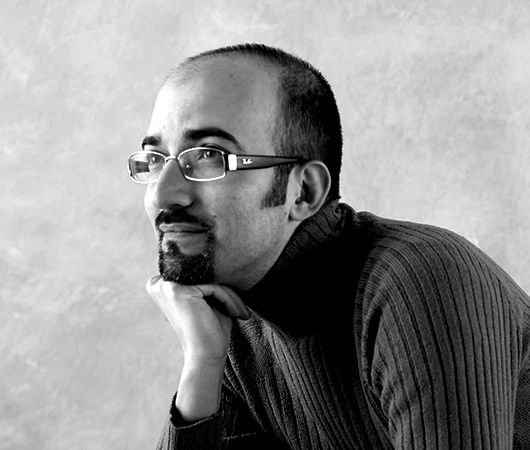 Massimiliano Cicconi has always stood out for his innovative research and strong personality. He has worked with Kerasan since 2007 in some widely versatile projects. Artistically active both in Italy and abroad, Alfredo Anzellini has realized experimental forms connected to new image media. He works using hybrid photochemical, electronic and digital techniques. 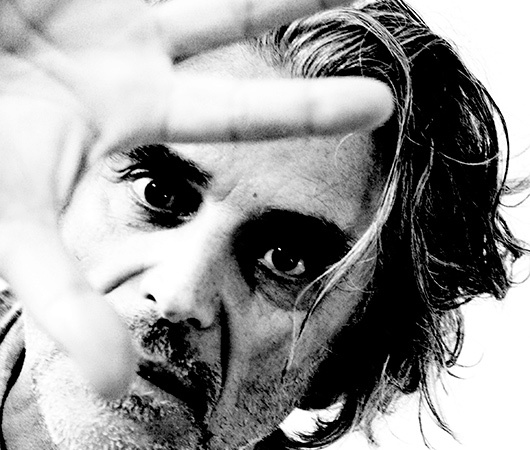 Since 2001, he has worked at "Camera Verde", a cultural centre in Rome directed by Giovanni Andrea Semerano. Exhibitions, books, artist briefs, postcards and posters bear witness to this editorial 'time and movement' developed uniting his artistic work and the cultural idea that is at the basis of "Camera Verde". In parallel to this work, is his study of industrial design, the interest in mass-production and in the "new" aesthetic values determined by industrial objects. Moreover, he is interested in the shapes of the products that capture our attention in relationship to their use. It is a true symbiosis between the shape of every-day objects and the creation of contemporary art. He has collaborated for twenty years with the Kerasan ceramic industry with whom he has created, along with his son Simone, various series of core brand sanitary ware such as the Ego, Flo and Retrò collections. His "Strati di Senso" designs, printed on the Inka counter tops, has had considerable impact on customers. Romano Adolini, architect and designer, was born in Nepi (Viterbo) in 1956; he attended the University in Rome getting his degree in 1982. After having worked for a period as an apprentice, he opened a professional office in Rome. He realized a lot of projects above all in the district of Vterbo such as private houses, sport buildings, shopping centres and churches, showing his personal search about architectural solutions in accordance with the territory. Beside the repair and restoration of monumental buildings, he has also seen about the museum exhibitions and interior design. 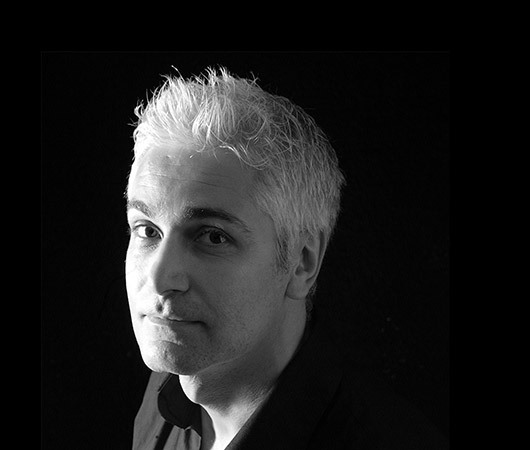 He has participated in variuous award ceremonies and competions; some works of his have been published in the major specialized magazines.He is not only an architect but a designer too, especially referring to the bathroom sector. At present he collaborates with some firms, such Kerasan, Flaminia, Boffi, Nic, Gal, Oliver International. 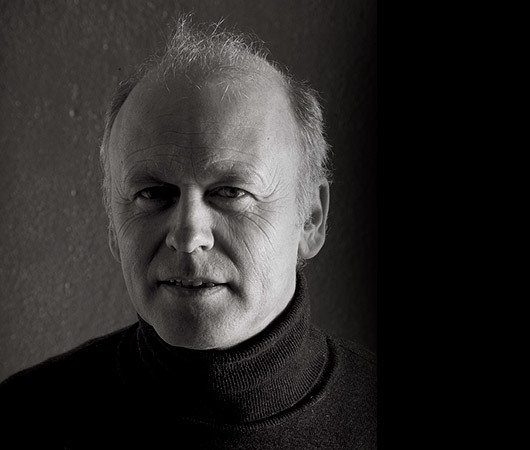 He won a lot of prizes such as the design plus Award (Frankfurt 2003) and the Design Index Adi both in 2003-2004. 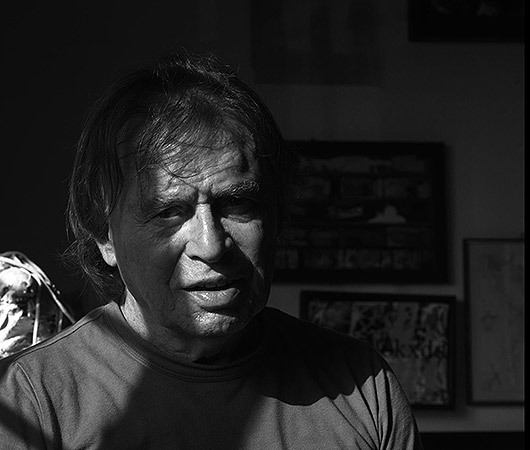 Since 1969 Alexander Duringer lived in Cologne, in Germany, where his family had moved after having left Uruguay, the country where he was born in 1964, for sentimental reaswons, he moved to Italy and now he lives with his family in Rome. Stefano Rosini was born in 1967 in Rome, where he still lives. IN the same town he sudied, getting degree in architurcture at the La Sapienza University. He had a lot of experiences working in some important architectural offices in Rome. But in 1997 he decided to open his own professional office working in restructuring or in private building. He realized a lot of shops in Rome, always paying attention to the design. Alexander Duringer and Stefano Rosini met during a sailing course they attended. From the fusion of their different but complementary experiences, made between Italy and Germany, these two designers created Triplan. Marco Pisati is a designer who is fascinated by new materials and modern technologies, he experiments with his ideas in the most extreme sectors: from aerospace, designing for the Italian Space Agency (ASI) the interiors of aerospace housing modules, in zero gravity, to the "itinerant" and more terrestrial one, creating the first example of an interactive motor office (ACI motor home). Invited to exhibit his work at the Leopolda in Florence ("Deep Inside" - Image), he presented the prototype of an astronaut jacket in Diaplex (shape memory fabric) with Grado Zero Espace, a leading company in the aerospace textile sector. He won the Red Dot 2017 in the "Product Design" category with the "Lynea", a product designed for Cordivari Design and the special prize of the jury of the German Design Awards 2016 in the "Bathroom and Wellness" category with “Color", a product designed for Gattoni Rubinetteria . His experimental design approach has led him to collaborate with very different companies such as: Kerasan, Cordivari Design, Antonio Lupi, DND by Martinelli, Gattoni Rubinetterie, Glass Design for Dornbracht, Emilio Pucci (Louis Vuitton Group), 3M Rubinetterie, Hego Waterdesign (Paini group), Ceramics & Furnishings, K8 Radiatori, Glass Design, Bandini Rubinetterie and Il Bagno Bandini.